UPDATE: Out of Stock! Back in stock! UPDATE 4:42pm – DOWN TO JUST $14.99!! Save 75%! WOW! 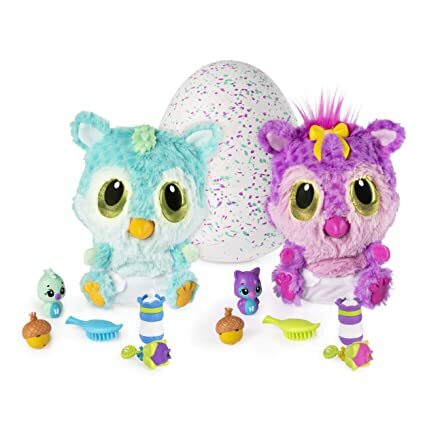 Score the Hatchimals HatchiBabies Chipadee Hatching Egg with Interactive Pet Baby (Styles May Vary) Ages 5 and Up (Amazon Exclusive) for just $19.99 (Reg $59.99) on Amazon – LOWEST EVER PRICE!! FREE Prime shipping or free standard shipping. Prime members will score for FREE ONE-DAY Shipping when you buy 2 of them! **Picture shows 2 hatchibabies but you will receive ONE with each purchase, it is just showing you the 2 possibilities! Just ordered one. Seems it’s still in stock. It must have come back in stock! A bunch of the toys are going in and out of stock at the prices posted all day. Glad you were able to get one at the lowest price!